Nature Art botanical garden flowers, woodland herbs wildflowers and fern renderings are painted watercolor and oil original paintings on canvas or paper some illustrations mixed with inspirational words to lift your spirit. 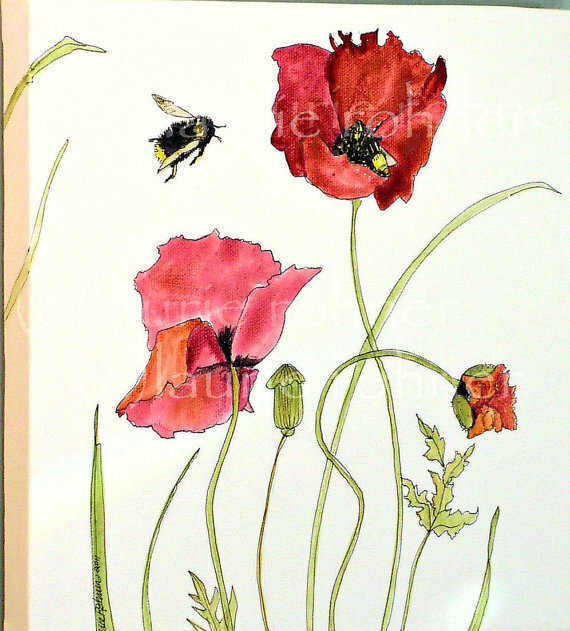 My original botanical garden whimsical artwork by Laurie Rohner is titled Red Poppies and Bees Buzzing. 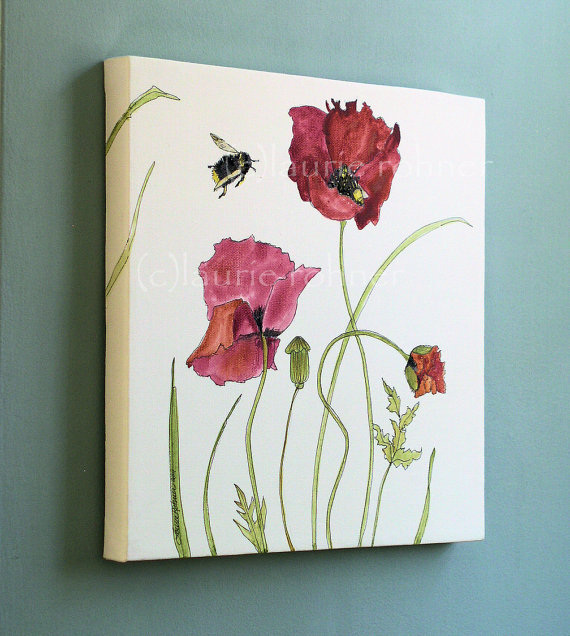 The red poppies are dancing on leafy green stems and compliment my painted farmhouse and cottage shabby chic decor of my storage boxes and furniture. It is painted on a creamy white background and my signature line work is added. I painted using the same style I use on my painted cottage furniture. Cottage farmhouse art is clean fun and whimsical.